Why do I have to log in twice when playing poker? Image 1. 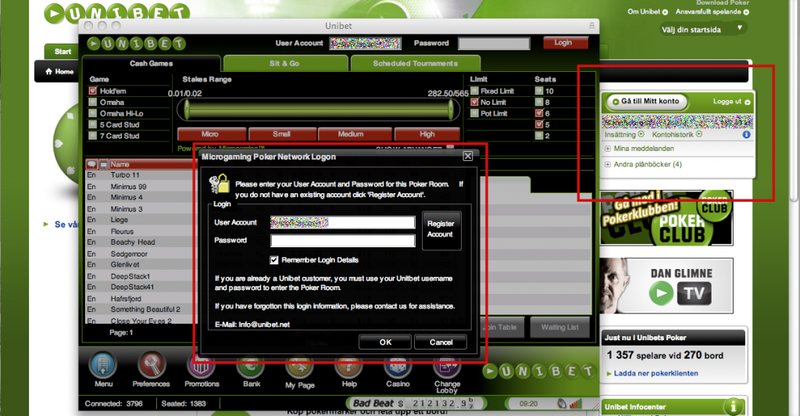 Unibet’s instant poker login. Why do I have to log in again when I start the instant poker client by Microgaming on Unibet? It just takes longer for a player to start playing so why isn’t it a single sign on solution built for the instant poker? Unibet’s bingo solution starts right away without me having to log in again. And what is even more confusing, there is a checkbox in the instant poker log in dialogue “Remember Login Details” and I’ve checked it, but I still need to type in my password every time. I think Unibet and Microgaming could do much better and make it as easy as possible for a player to start playing!